Trader Joe’s had these honeynut squashes and I’m not sure you will be able to find them anywhere else. You could either use another delicata or butternut squash. This would be a great holiday side dish! Cut squash in half length wise. Remove seeds. Cut into slices. Cut onion into wedges. 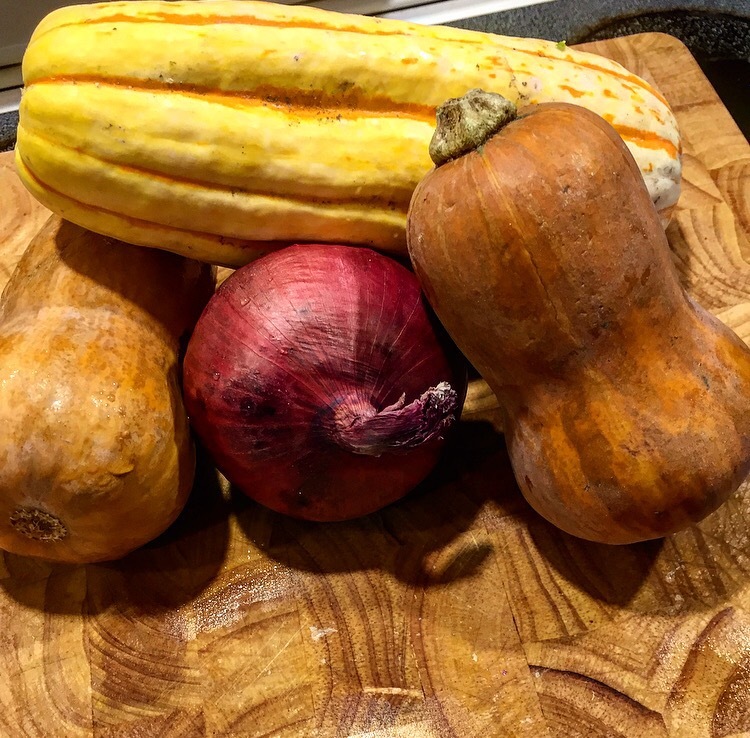 Place squash and onions in a bowl. In a separate small bowl mix together ingredients from oil to sage. Pour mixture over squash. Stir until squash is evenly covered. Spread squash and onions over cookie sheet that is either greased or covered with parchment paper. Bake for 20 – 30 minutes until soft. Cool five minutes. Serve. 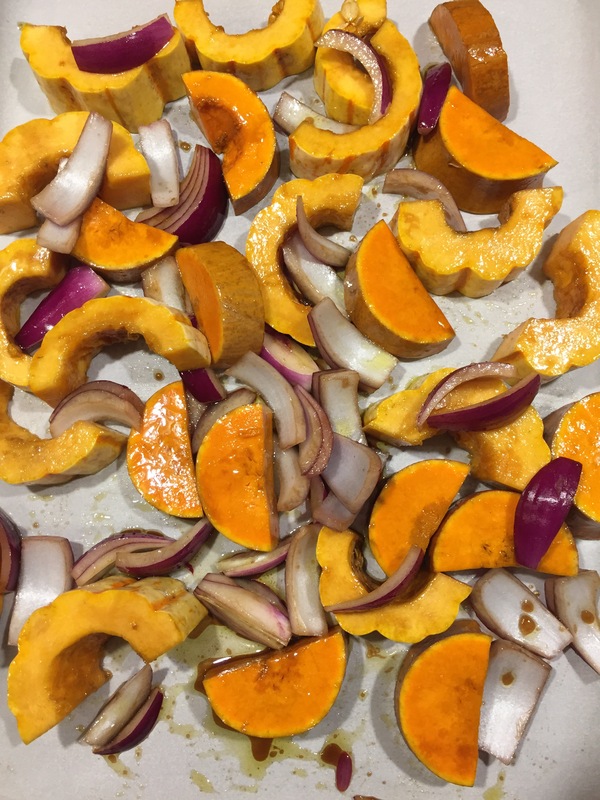 Gallery | This entry was posted in Gluten Free, holiday, Sides and tagged delicata, holiday sides, honeynut, recipe, squash, thanksgiving, Trader Joe's, vegan. Bookmark the permalink. yum!!! what do you like to serve this with? We ate it as a side dish with this casserole https://dontfearthevegan.com/2016/10/14/gardein-chickn-scallopini-daiya-cheddar-style-shreds-and-trader-joes-riced-cauliflowerbroccoli-casserole/ They worked really well together! 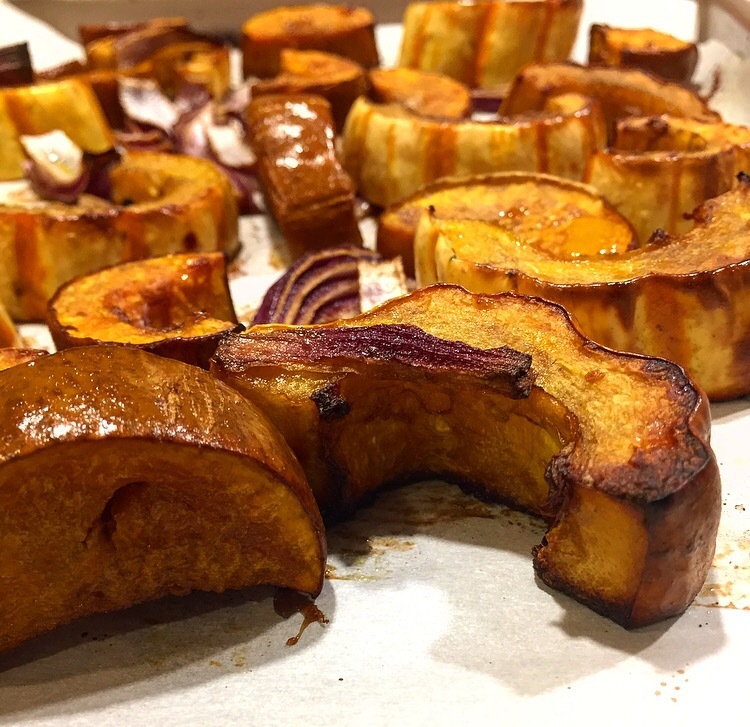 We love Delicata Squash (especially at Trader Joe’s prices). We roast them every fall, so decided to try your recipe! Nom nom nom!! The only change I made was to sprinkle our Pop Zest Olive Oil & Herb nutritional yeast seasoning on top after taking them out of the oven. Ooops…hit the return button without adding my name! I’m so glad you enjoyed it! I’ve never heard of the Pop Zest seasoning. I’ll have to check it out! Thanks for taking the time to comment. No problem! You can get all 3 Pop Zest nooch flavors on Amazon if you’re not in S. California, Colorado or NYC.